On August 20, Music for the Hearts hosted their fourth annual musical fundraiser in support of better health. This year, they chose to honor B.C. 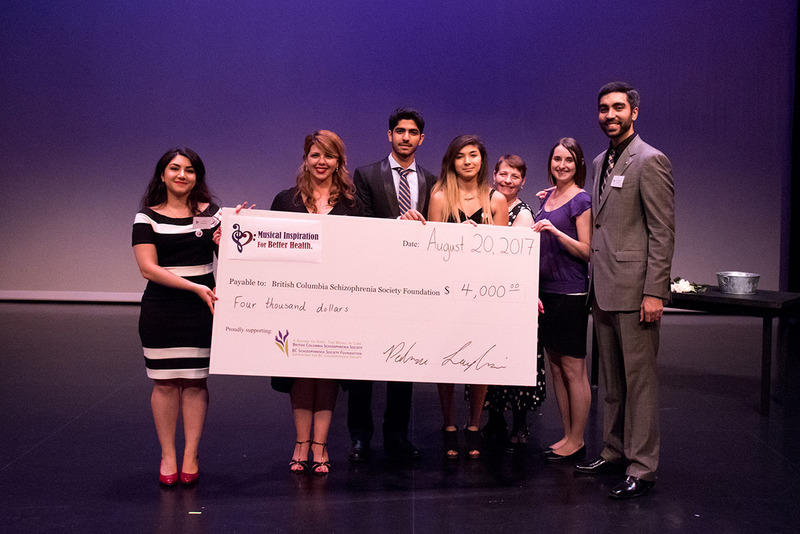 Schizophrenia Society Foundation’s contributions to supporting mental health by donating all proceeds from the event to support BCSS’s programs, resources and research. More than 100 community members attended the event, raising a total of $4,000 for B.C. Schizophrenia Society. The evening featured inspiring musical performances by young performers and students, and a feast of food generously donated by local restaurant sponsors. Dr. Robert Stowe from the University of British Columbia gave a brief presentation about schizophrenia and shared some of the important research into the illness his team is currently working on. Following this presentation, Gerhart Pahl, B.C. Schizophrenia Society Foundation Chair, highlighted some of the many ways BCSS supports people living with schizophrenia and other serious and persistent mental illness and their families through support services, education, advocacy and research. Music for the Hearts is a charitable organization that raises funds for health care related causes through an annual fundraising concert. It was founded by a group of university students passionate about music and health care who combined their passions and created this annual fundraiser as a way to positively impact the health of their community. B.C. Schizophrenia Society Foundation is extremely grateful to have been chosen as the beneficiary of Music for the Hearts 2017. The generosity and dedication shown by the Music for the Hearts team, the musical performers and the event’s many sponsors has been overwhelming.